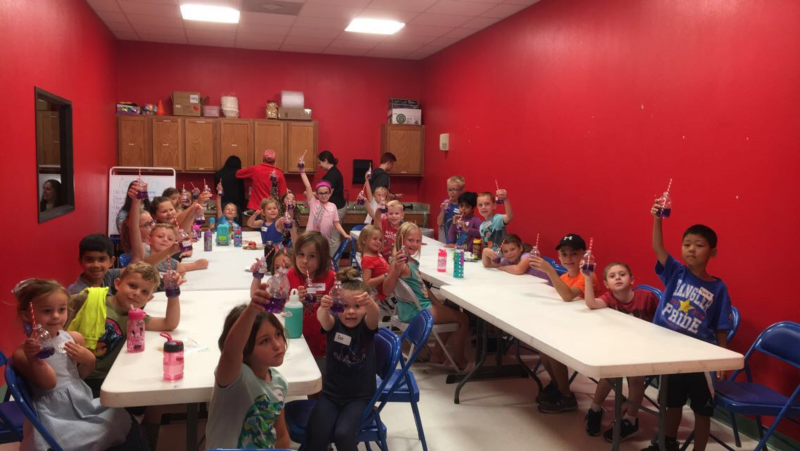 Texas A&M Oceanography faculty partnered with local children’s museum to host camp. 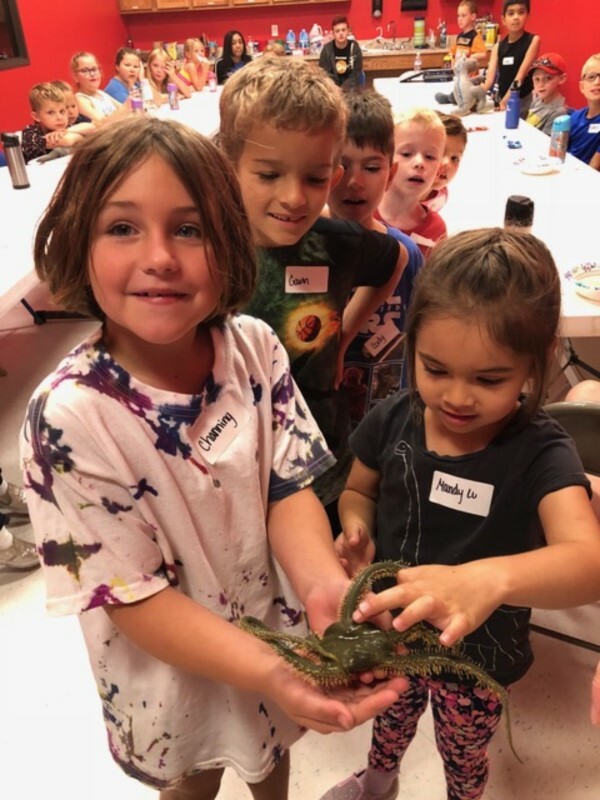 On July 9-13, Department of Oceanography at Texas A&M University faculty and other researchers collaborated to host a week-long “Under the Sea” camp for local youth, held at the Children’s Museum of the Brazos Valley. 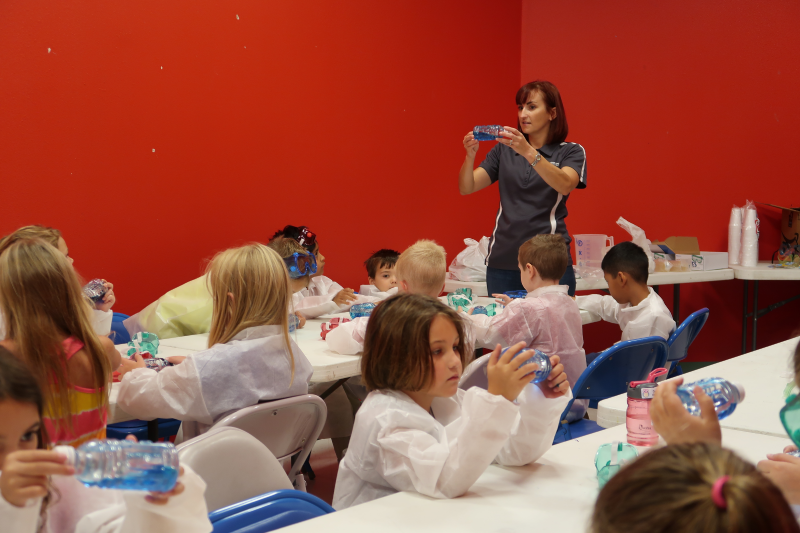 Students who participated were 4 to 12 years old, and each had the opportunity to complete hands-on science experiments and lessons. Many graduate students, faculty, and staff members helped make the camp happen, including: Drs. Chrissy Wiederwohl, Katie Shamberger, and Jason Sylvan, oceanography professors; Tacey Hicks, Miranda Hooper, and Charles Holmes II, oceanography graduate students; Drs. Peter Blum, Denise Kulhanek, Laurel Childress, and Carlos Alvarez Zarikian, of the International Ocean Discovery Program (IODP); and Drew Casey from Texas Sea Grant. The vision of the camp started when Wiederwohl dropped her daughter off at a science camp at the children’s museum the previous year. 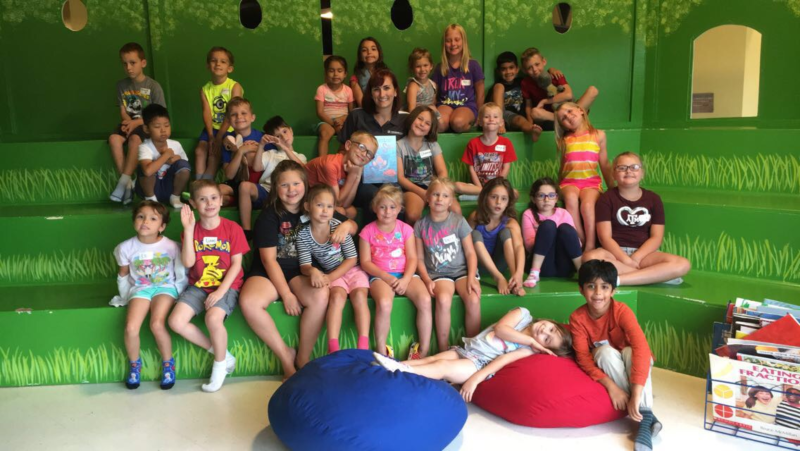 “I asked the director of the museum if they would be interested in doing an Ocean Science camp, then met with their director of education, and the camp grew from there,” she said. The camp is just one of the outreach programs that Wiederwohl plans to create through the Oceanography Department. “I wanted a way to expand our outreach offerings and reach the local community in a more impactful way than just small presentations here and there,” Wiederwohl said. During the camp, children were able get their hands wet in learning marine science, and different topics were covered each day by experts in the field. On the first day, Wiederwohl taught the group about density. The students looked at how fluids can have different densities, and built an ocean in a bottle, which can be used to set up internal waves and show how waves move energy. On Tuesday, Shamberger discussed ocean acidification and demonstrated common household items, such as soap and vinegar, and whether they are an acid or a base. Students also participated doing an experiment where they could see the direct relationship between carbon dioxide and acidifying water. On the third day of the camp, IODP faculty and students built mini sediment cores to explore the science of ocean drilling. On Thursday, Sylvan gave a lecture about ocean life from microbes to whales. And on the last day of the camp, Texas Sea Grant experts talked about plastic pollution and how it is harming the ocean today. Students also had a chance to touch a real, living brittle starfish. The department plans to host the camp again in mid-July next summer. “It was great to expose them to all corners of oceanography and show them all of the great scientific questions we are trying to answer. Many did not realize that we had a world class oceanography department right here in the local community,” said Wiederwohl.